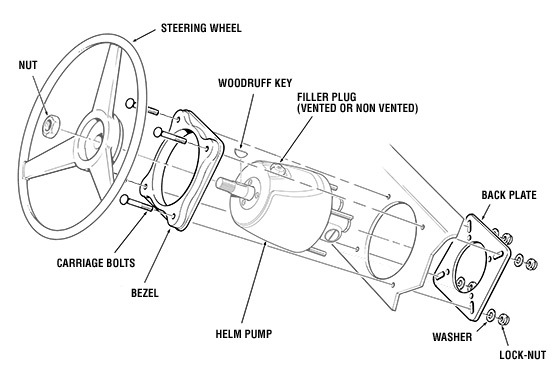 Notice: Maximum steering wheel diameter is 28″ (711mm). Reduces the distance the helm protrudes from the front of the dash to 3.75″ (93mm). This information is also available as a downloadable PDF Supplement 767629. This kit is designed to mount the helm at a 20° angle to the mounting surface. 4 possible mounting configurations are available. 2. 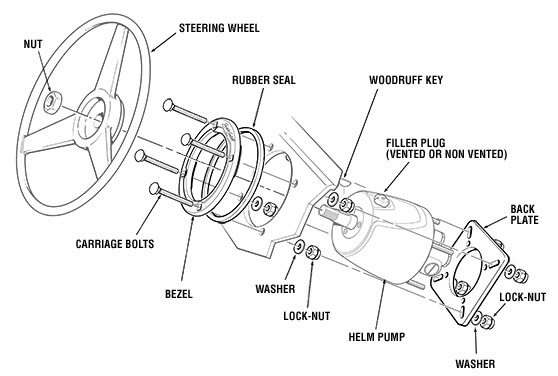 ALL ENGINES over 300 HP and all boats that are driven aggressively must use a high strength tiller bolt, kit part #HA5822. All front mount cylinders built after June 15, 2007 will have this high strength bolt included in the box. High strength tiller bolts can be identified by the marking ‘TFX – ARP’ on the head of the bolt (refer to NOTICE below). 3. HC63xx PRO Cylinders are designed for all those critical high speed, single outboard engine boats, such as Bass, Flats combo Race/Ski and other performance orientated boats capable of speeds in excess of 65 mph. For optimal performance, the use of SeaStar PRO Kevlar Steering Hoses is recommended. 4. 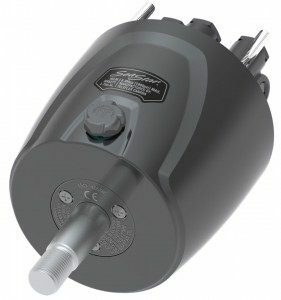 HC6845 Tournament cylinders are designed for use with high powered fishing/sport boats. If your application calls for dual or triple outboard engines, is capable of speeds exceeding 55 mp/h and runs in open water, Tournament Cylinders should be used. b) purchase K-6 Cylinder, and tiebar kit part # HO5009. There will no be no interference when using twin HC5345 cylinders.